Any trip can be a healthy one with these travel fitness tips — and GOLD’S AMP™. Lee Wratislaw loves to travel. But unlike most vacationers, you won’t find him lounging in the shade with his feet up. He makes time to break a sweat while he explores a new destination — and shares how you can customize your fitness plan to be sure you have an active vacation. 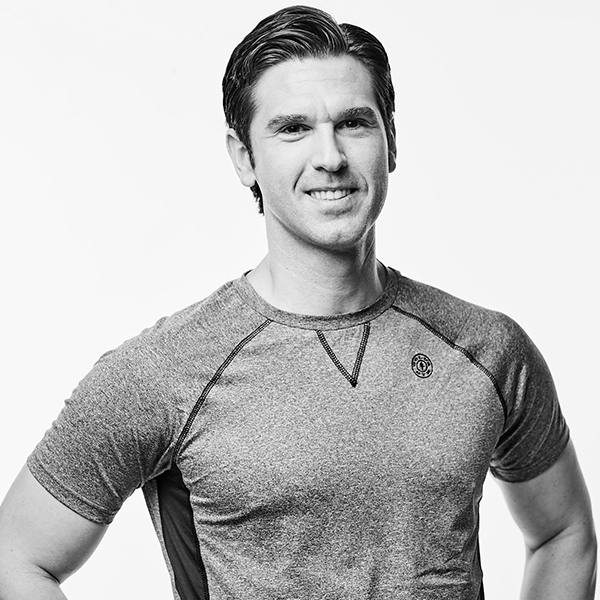 “Just because I’m traveling doesn’t mean I stop working out or eating healthy,” says Wratislaw, a GOLD’S AMP™ coach. “I set aside time like I would at home doing my regular routine. The digital personal training app features a variety of original workouts from Gold’s Gym coaches, as well as unlimited music across thousands of mixes. See how Wratislaw incorporates the app into his vacation workouts and check out other tips to maintain a healthy lifestyle while traveling. People who participate in athletic competitions like triathlons or bodybuilding summits may already travel to places where those events are held. Non-competitive folks can apply the same idea to their vacation planning, using the workouts they enjoy as inspiration for the journey they take. For example, if you like to hike, consider a trip to the Appalachian Trail in the eastern U.S., the Inca Trail to Machu Picchu in Peru, or the hills of the Scottish Highlands — all considered some of the top hiking destinations in the world. If you’re staying in a hotel, see if it has a fitness center or pool available. If you’re searching for a vacation rental, check for parks or natural areas nearby. You’re more likely to complete your vacation workouts if these options are convenient to you. Members may also find a Gold’s Gym location nearby and make use of the Gold’s Gym Travel Pass. It’s good for up to 14 visits per year at all locations, system-wide, that are more than 50 miles away from their home gym location. If you end up in a place without fitness amenities, GOLD’S AMP™ has your back, Wratislaw says. The app’s non-equipment workouts include outdoor run, outdoor walk, bodyweight and core options. You can use it anywhere, so clear space in your room and time in your schedule to get that workout in. Vacation workouts don’t have to be done in a gym. Walk or run to the sites you want to see. Find out if the city has a bike share program you can use. Include a place on the itinerary that encourages activity, such as a park or natural area, or even a famous gym (Gold’s Gym Venice Beach day pass, anyone?). And be sure to pack your workout clothes and shoes for your active vacation itinerary. Tourists all snap the same photos: “holding” the Tower of Pisa, taking selfies with the presidents on Mount Rushmore, strolling through the crosswalk on Abbey Road. Make your photo souvenirs truly unique by doing your vacation workouts with a famous landmark in the background. A couple of examples you might like to try are “Wrecked Pecs” with Coach Michael and “Total Core” with Coach Dallas. Don’t forget to flex and smile for that photo opp! The last thing you want during an otherwise active, healthy vacation is to derail all that hard work by eating poorly. Keep your good nutrition on track by planning meals and snacks in advance. Pack a cooler of healthful goodies for a long road trip. Search for farmer’s markets and grocery stores near where you’re staying so you can replenish your supply of snacks. Look up the menus for the places you’re planning to eat and choose what you’re going to order before you get there. Travelers can give into temptations like vending machines and fast food because they’re quick, easy options. This strategy will help you avoid making impulse decisions, regardless of whether you’re on vacation or not. An active vacation can still be restful and relaxing. Take a meditation break during the day or unwind in the evening with a good stretch. GOLD’S AMP™ offers a variety of meditation options and sessions to stretch either the full-body or a targeted area. For example, if you’ve been walking or riding a bike all day, a nice stretch to the legs and hips will help keep your muscles from tightening up. Make time for these calm, quiet moments throughout the day. They will give you energy for your traveling adventures. Receive access to our GOLD’S AMP™ digital personal training app! Get started with a FREE Pass to Gold’s Gym.